The campaign would also keep the spotlight on the achievements of the Narendra Modi government. After weeks of focussing exclusively on national security, the BJP has decided to expand the scope of its campaign to include its earlier theme of development. The midway course-correction is based on the feedback received by the party after the first phase of election, sources said. There are six more rounds of polling to go that will be spread over a month. The second phase of Lok Sabha polls will be held on Thursday. "Development" was the big promise of Narendra Modi ahead of the 2014 elections, which brought the BJP a sweeping victory -- a first in three decades when a single party had won majority. Sources said this time, the feedback was that apart from national security and nationalism, the achievements of the government and the promises for the next term should also be underscored. It would be a counter to the Congress's NYAY - the Basic Minimum Income Scheme, under which it has promised Rs 72,000 a year to 20 per cent of the poorest families. In "Kaam Ruke Na, Desh Jhuke Na" (Work is in progress, the nation should not bow to anyone) slogan, the focus is first on the developmental works of the Narendra Modi government. The latter part of the slogan is a reference to national security and anti-terror operations, which had been the government's primary poll plank since the February 14 terror attack in Pulwama and the subsequent air strikes by the Indian Air Force in Balakot. "Kaam Ruke Na, Desh Jhuke Na" slogan will run alongside the BJP's "Abki Baar Modi Sarkar" slogan. Sources said the campaign would also keep the spotlight on the achievements of the Narendra Modi government, like free medical treatment for the poor, electrification of villages and the Ujjwala scheme that's meant to take cooking gas to every household. 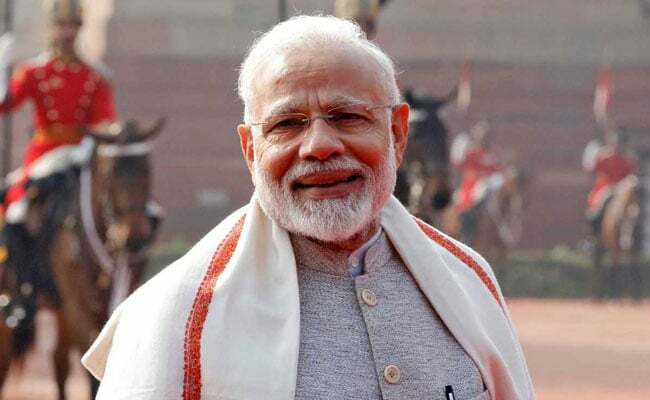 The BJP, sources said, will continue to focus on nationalism and national security in the context of Balakot air strike and the surgical strike in the aftermath of the Uri attack and ASAT - the anti-satellite mission tested by the defence agency DRDO last month.